With the hoards of Darknet Markets popping up on the deeper end of the web it’s getting harder and harder for users to zero-in on one market which will cater to all their needs, this Dutch Drugs review is aimed at solving some of those very confusions. By user needs, I mean an easy user-interface, a number of products to choose from, security measures, easy shipments and delivery and so on. Does Dutch Drugs provide all of these? That’s not for me to say, I’ll simply bring out the features and problems the Marketplace comprises of and leave the decision of the marketplace’s potential to you. This needs to be explained so the review can be understood as it’s meant to be; Dutch Drugs is a single-vendor marketplace. Meaning, unlike other marketplaces which act as mediators between buyers and a number of different vendors, Dutch Drugs is a platform simply acting as a website for one single person selling his/her products to buyers. There are no third-party vendors involved, the admin is the owner of the marketplace as well as the vendor on it. Hence, it shouldn’t be compared in any aspect with the other traditional marketplaces out there. This section in this Dutch Drugs review is where I bring in an eagle’s-eye view of the marketplace, listing all its primary features so you folks get an idea of what it’s made up of before jumping in. Security Features: 2-FA using PGP / PIN. Currency: Bitcoin, Monero, Litecoin, Ethereum, Dash. Does Dutch Drugs Require Registration? Yes, Dutch Drugs is a registration-only marketplace. Even though the marketplace can be accessed and the products can be browsed without registration, making a purchase on the marketplace does require registration. As is evident it only requires the most basic information such as an username and a password, no E-mail ID or personal identity proof required hence there’s absolutely no verification whatsoever. The PIN is a security measure which too won’t harm your anonymity in any way. The referral code is optional and can be skipped. How Hard or Easy is it Using Dutch Drugs? Even though Dutch Drugs is a single-vendor marketplace it crafted its UI with much professionalism and while most other single-vendor marketplaces look like single-page websites; Dutch Drugs actually feels like an actual multi-vendor marketplace. It has a minimal top-bar with just three options, Login, Register and PGP Login. Then it has a left-sidebar with all the product categories listed over there. Following that is a ticker which displays real-time prices of various Cryptocurrencies. The centre-screen is divided in three parts, the first part shows news from the marketplace, the second half is where the latest products are displayed. And then finally the rest of the screen is again dedicated to news, updates and promotions. 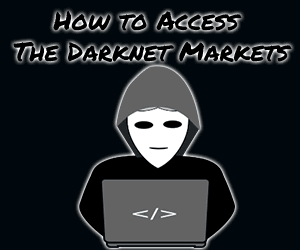 As is evident, any user regardless of his/her prior experience on Darknet markets can navigate around the marketplace without much hassle. What Products are available on Dutch Drugs? When it comes to products Dutch Drugs as already explained shouldn’t be treated or interpreted the same way as multi-vendor marketplaces. It’s a marketplace with just 26 individual listings as of now, but as it’s just one single vendor selling the products the low number of products can and should be accepted. The product-categories on the left-sidebar include everything from Barbiturates, Benzos, Opioids, Cannabis, Hash, Drugs, Ecstasy, Prescriptions, Psychedelics, RCs, Steroids, Weight loss, to Stimulants. However most of the categories are almost always empty, and the only products actually in stock right now are Cannabis, Hash, Psychedelics, Prescriptions, and Dissociatives. Psychedelics is the most well-stocked category on the marketplace with as many as 12 products in the category which include Changa, DMT crystal, LSD Blotters etc. The next most well-stocked category is Ecstasy and has 6 individual listings with products such as MDMA Crystals, MDMA XTC Pill etc. Dissociatives too has as many as 4 individual listings for Ketamine. Even though there are 4 different listings, they’re all for the same product just in different quantities. Note that the weight and amount of products the vendor is selling are pre-specified and can’t be set by the buyers. Hence most listings are for the same products just with different pre-specified quantities and prices making it somewhat easier for users to order off the marketplace. In a nutshell it may not be the most product-rich marketplace we’ve ever come across but it seems to do its best and cater to the needs of most users if you’re hunting for Drugs. No services such as Cashouts or hacking are offered and as the name suggests its strictly a marketplace for “drugs”. How Secure is Dutch Drugs? Security is of utmost importance however it too differs from other marketplaces for this Dutch Drugs review; primarily because on other marketplaces the marketplace acts as the mediator, the middle-man which oversees all trades and transactions. But on Dutch Drugs, the vendor him/herself is the sole-authority as he/she is the owner of the marketplace as well, hence there’s no supervisor. Hence there’s no Escrow for starters, as an Escrow is a third-party which facilitates the trade between two parties but in this case, only two parties are involved and users should only trade if they trust the marketplace. There however is 2-factor authentication for user accounts using PGP, meaning users can add another layer of protection to their accounts in addition to the password using PGP key. Once enabled, users need to decode a PGP encoded message everytime they login and only after successfully doing so access is granted to the platform. It also allows a PIN to be set, which is yet another firewall in addition to the password and the PGP key however it’s not used while logging in to the platform, rather when making major changes to the account such as placing an order. Enabling the PIN ensures that even though someone gets access to your password, and your PGP key there’s not much damage they can do to your account or funds on the marketplace. How Good is the Search Functionality on Dutch Drugs? This is something I include in all my darknet market reviews because most users wouldn’t like scrolling through hundreds of products trying to find the one product they want, isn’t that right? The narrower, more precise search filters any Darknet market offers the better I personally consider it to be. As is evident, it offers extremely precise and narrow filters which include Keywords, categories, shipping country, shipping-to country, high and low prices, currency, listing type and even Sorting (alphabetical, popularity, price). So in a nutshell the products users will get after using the search functionality will be exactly what they want, and they won’t have to be disappointed on the checkout page only to be let known that the product isn’t shipped to their country or is shipped from a country they’re not comfortable with or any other such problem. Which CryptoCurrencies does Dutch Drugs Accept? Payment is one of the most important parts of any trade or marketplace, isn’t it? The same holds true for this Dutch Drugs review as well. Well, Dutch Drugs offers quite a few options when it comes to this. The platform can not only be paid in Bitcoins but also in Monero, Litcoin, Ethereum and Dash. Even though Bitcoin is the safest payment mode, the other options do provide somewhat faster transactions with lower fee, the choice is yours. How to be a Vendor on Dutch Drugs? For those who’re on this Dutch Drugs review wanting to be a Vendor on the marketplace, I’m afraid the news isn’t good for you. The marketplace doesn’t currently have any option which would let new vendors sign up on the marketplace, hence you can’t vend over there yet and it’s open only for buyers. So that’s me signing off this Dutch Drugs review folks. As a marketplace the user-interface is easy and acceptable, the number of products however could be improved. Also, it lacks when it comes to security features and Escrow or Multisig aren’t available so I’d advise ordering small test-amounts first before going all in with the marketplace. I have however scrounged Reddit, Bitcoin Talk and other such forums for reviews on the marketplace and fortunately no mentionable negative reviews seem to be there yet. The search-functionality is pretty impressive, along with the currency support! So in a nutshell, it’s a marketplace which can be tested for a change for sure. But that’s just what I think, it may not coincide with your thoughts, do let me know what you think of the marketplace as well as this Dutch Drugs review in the comments down there!